Hickey Freeman crafts a timeless staple – the navy wool blazer. 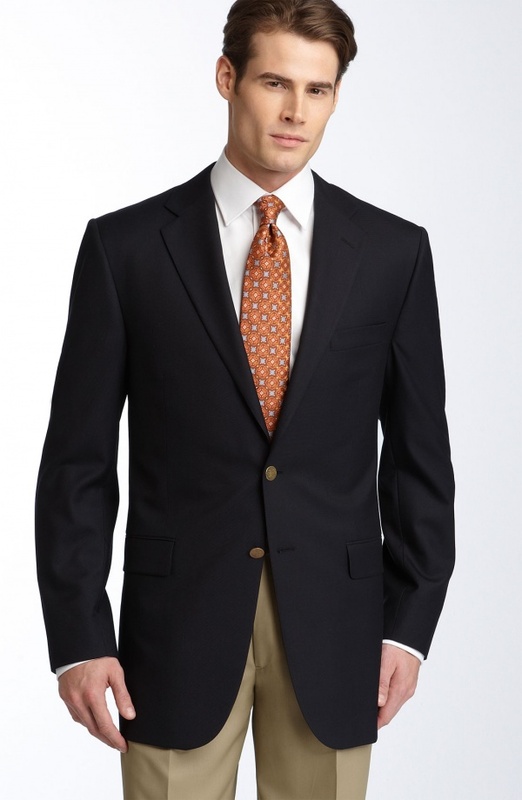 Along with the charcoal suit and white dress shirt, the navy blazer is a staple every man simply needs to own. American made, using pure wool, this two-button, notched lapel design is timeless, and the perfect cornerstone for any closet. Available online now. This entry was posted in Blazers, Tops and tagged Hickey Freeman. Bookmark the permalink.